The federal government has decided to get the proposed 30th Amendment to the constitution approved before the incumbent National Assembly completes its term, a private media outlet reported on Tuesday. According to reports, the amendment would serve as a means to merge Federally Administered Tribal Areas (FATA) with Khyber Pakhtunkhwa (KP) province. 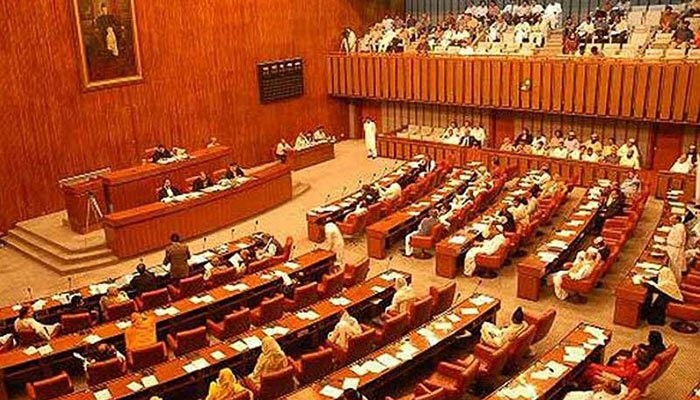 National Assembly’s Standing Committee for Law and Justice would approve the proposed amendment on Wednesday. After approval from the committee, the government will present the bill for the 30th amendment in the parliament on Friday. Reports also said that Jamiat Ulema Islam-Fazl (JUI-F) chief Maulana Fazlur Rehman and Pashtunkhwa Milli Awami Party (PkMAP) leader Mahmood Khan Achakzai, both the two allies of ruling Pakistan Muslim League-Nawaz (PML-N) government in the centre — remain angered over FATA’s integration. The government, however, has opposition’s backing for approval of the bill. In April, President Mamnoon Hussain signed the Supreme Court and High Court (Extension of Jurisdiction to Fata) Bill 2017, extending the jurisdiction of the Supreme Court and Peshawar High Court to FATA. The president signed the ‘Supreme Court and High Court (Extension of Jurisdiction to Fata) Bill 2017′ on the recommendation of the prime minister. The extension of the superior courts’ jurisdiction was one of several demands of the people of FATA, who seek to be treated at par with the rest of the country. The lawmakers from FATA have also been demanding merger of the tribal areas with Khyber Pakhtunkhwa province. In a meeting on December 26, 2017, the federal cabinet approved the formation of a high-level national implementation committee for FATA reforms. “The meeting granted ex-post facto approval to the formation of National Implementation Committee on FATA Reforms. Minister for Defence and Commander 11 Corps have been included in the high-level implementation committee,” read a statement issued after the meeting. The KP Assembly had adopted a resolution on December 14, 2016, in favour of merging FATA with KP with the aim of rehabilitating and reconstructing the infrastructure including roads, communications, power lines, water supply, education and health facilities. The recommendations to bring the tribal areas at par with the rest of the country were approved by the federal cabinet on March 2, 2017, but the matter has been delayed since then.